Action Chiropractic & Massage Therapy Clinic offers a comfortable, casual atmosphere that you’ll feel right at home in from the moment you enter our door. 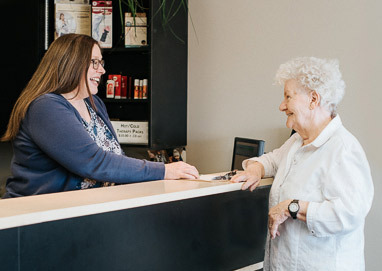 Our friendly, energetic team is ready to help make your visit as pleasant as possible. If you’d prefer to complete your paperwork ahead of time, it can be downloaded from our website. Otherwise, you’re welcome to fill out these forms in the clinic. Once your paperwork has been finished, you’ll be brought back to the examination and treatment room to meet Dr. Chan. He’ll go over your health history, then begin an examination. After your examination, if you are a good candidate for chiropractic care, you’ll receive a chiropractic adjustment. We’ll discuss a treatment plan, and you’ll be on your way in about 30 minutes. You’ll arrive and be brought to a treatment room. Dr. Chan will discuss how you’ve been feeling and answer any questions you have. If we believe that your treatment needs to be changed, we’ll do so. Otherwise, you’ll get an adjustment and be done in 10-15 minutes. Re-examinations will be performed at regular intervals. Chiropractic involves a lifestyle change that can help you maintain your health. If you wanted to lose weight, you’d diet, exercise and keep up with your new habits once the weight was gone so that it didn’t return. To benefit the most from chiropractic care and minimize future health issues, you can choose to enter wellness care and have periodic visits with Dr. Chan. 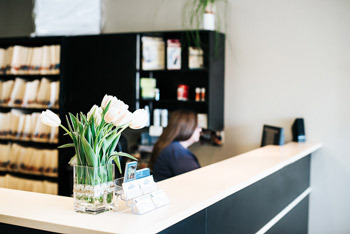 At our clinic, we’re committed to explaining all of your options to you. We offer free consultations to answer any questions you may have before your first examination. Your insurance coverage can be used at Action Chiropractic & Massage Therapy Clinic.